No doubt you have your favorite style of kitchen decor. Part of what makes a particular style appealing is the color choice. In this article we will take a look at some popular quartz colors and consider their availability. Along the way, we will give consideration to the role colors play within certain styles. Why Consider the Color Trends? You might be wondering what the value is in considering the current color trends in quartz countertops. "After all, isn't the most important thing whether or not I like it? ", you may be thinking to yourself. And the answer to that is yes. That is among the top factors; if not the main one. Yet, there are other aspects to consider. For example, how long do you plan on living in the home for which you are purchasing countertops? What is the timeline for the project? Does the color make a difference in how to care for quartz? Questions like these could help you discover important considerations that you may not have thought about. First, knowing what the popular color trends are can guide you to a quartz color choice that will make the project more fruitful. If you are planning to sell your home in the near future, having a popular color of quartz countertop will appeal to the largest group of buyers. Additionally, a color choice for which there is a large demand can make the timeline progress with fewer interruptions or delays that can result form shipping or stocking issues. 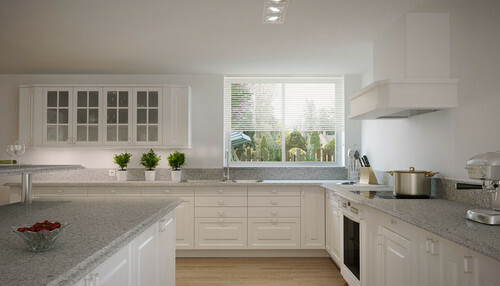 At the top of our list of desirable quartz colors is white. White quartz in the kitchen offers a fresh, clean look and feel that more than a few homeowners prefer when it comes to the appearance of the all-important kitchen. And, in case you were wondering, there are a number of options when it comes to white quartz. Let's look at a few very briefly. Instead of just subjectively choosing a couple of brands that offer a white quartz marble look-alike. 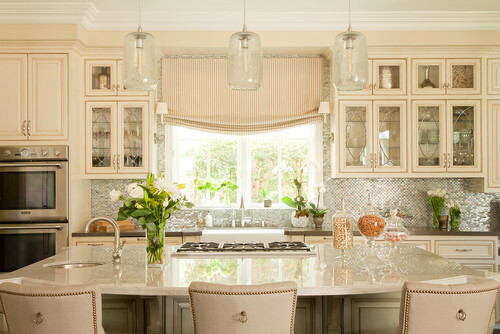 A quick search in Google yields a Houzz discussion that contains many options that mimic Calacatta marble. 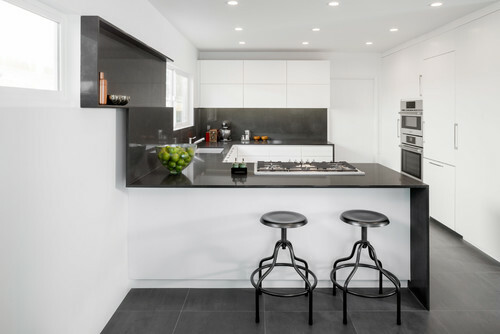 In fact, in that discussion some comments even refer to Neolith, which technically is not quartz but sintered stone, however it is an engineered product that copies the appeal of white marble; which can be more expensive. Of course, these are only a few of the many choices available on the market; there are many others. The idea though is that white is among the most popular colors of quartz that you may choose. Yet white is not the only popular quartz color. The next time you are perusing homes in a neighborhood under development, make a mental note of the number of homes that you see that offer styling featuring shades of beige or similar colors. Neutral colors are very popular for home decor when being presented to large numbers of people. One reason this is true is because neutral colors allow for a variety of other colors to be introduced into the design style. As a result, it is a safer choice and more people can incorporate their existing furniture or design taste into the new property. These are only a few of the many beige colored quartz products available on the market. You can find many others by searching through website of quartz brands or even on your favorite search engine. Really, the only limit to what black quartz can be used with is the designer's creativity; which is virtually unlimited in many cases. So, it is a very popular color choice among homeowners that appreciate dark, rich colors that convey a sense of style. If you are among those, there is no shortage of black quartz choices. Earlier we made the observation that neutral colors are great for use with a variety of other colors in a design scheme. However, not all neutral colors create the same feel. For example most gray surfaces fell "cool" whereas other neutral colors feel "warm". Hence, it is good idea to select the neutral variation that will blend nicely with your other colors. The cool feel of gray quartz is one of the appealing characteristics that many appreciate. This appreciation moves many people to choose a gray quartz for their kitchen or bathroom surfaces. With so many shades of gray from which to choose, there is sure to be one that meets your requirements. Roy G. Biv could be the name of someone that appreciates quartz surfaces. In fact, exotic quartz colors come in virtually every letter of that imaginary customer's name. Exotic colors are very unlike the neutral counterparts we looked at earlier. 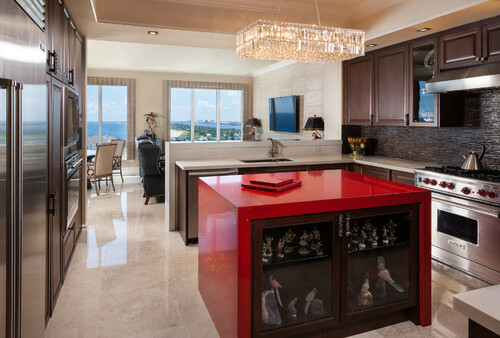 As a general rule, bright colored quartz surfaces make great focal points to a room and draw attention rather quickly. For this reason, exotic colored quartz is not as ubiquitous as the previously mentioned options. So, you may only see a color or two in any given showroom, but there is definitely a market for these sharp looking attention grabbers. In conclusion, there are so many colors of quartz available for a variety designs, that no matter where you go to get a look at some popular quartz colors you will find more than enough. The important thing is to make sure that you choose a color that you will be happy with and that matches the design and feel of your color scheme.